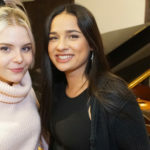 In January, Germany’s public broadcaster, NDR, organized a three-day songwriting camp to find songs for the six finalists of the “Unser Lied für Lissabon”, Germany’s national contest for the country’s entry at ESC 2018. So earlier today, the broadcaster has revealed that the songs for the six finalists have been selected, revealing their titles on the Eurovision.de web site. Although we now have the titles, we will not be able to listen to them until February 20th, just before the selection show on February 22nd. Fourteen composers participated in the songwriting camp – and three of the songs written there were able to qualify for the German final. Among these composers, there are some known to Eurovision fans. 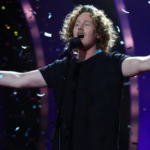 One of them is Axel Ehnström, a Finnish songwriter, known in the Eurovision circles as Paradise Oskar, who represented his country at Eurovision 2011 with “Da Da Dam “. Danish Thomas Stengaard is also known as he was one of the authors of the “Only Teardrops” of Emmelie de Forest in 2013. Also, Greek songwriter Ricardo “Richy” Bettiol, Canadian songwriter Martin Gallop, Dutch songwriter Loren Nine Geerts and German composers Nisse Ingwersen, Nina Müller, Jaro Omar and Joe are some of the rest.